After all the fun and play our little ones are doing every day this summer, the best thing for them is a nice long bath. To soothe those tired muscles, bath salts are a great addition. 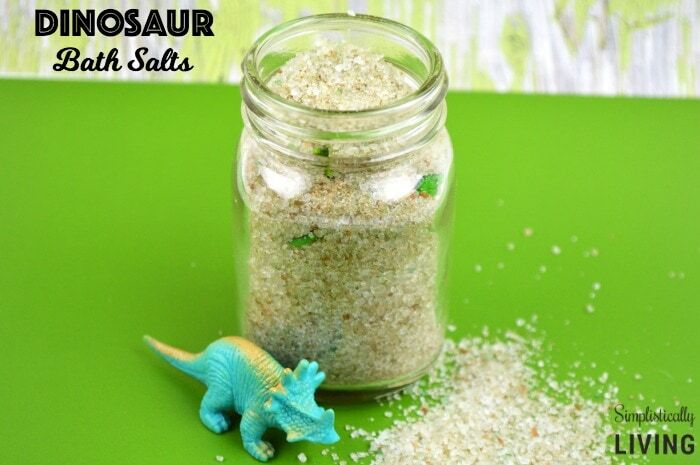 To take bath time one step further, I came up with these fun Dinosaur Bath Salts! For those bath salts I really wanted them to resemble fossilized dirt or just dirt in general. 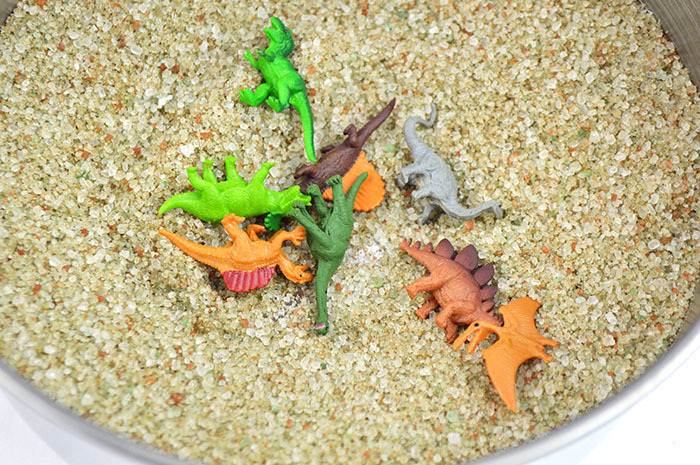 I also wanted something that gave kids a reason to be excited to take a bath (if they weren’t already) so I added some really cute mini dinosaur toys. 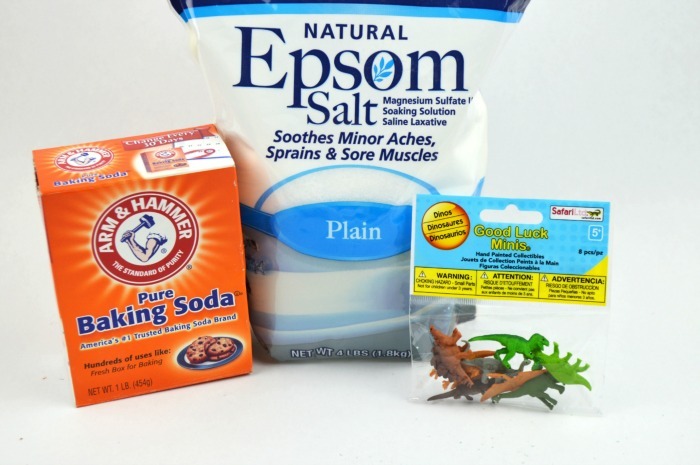 That way when these bath salts are used, they are also receiving a fun toy to play with! In a large bowl, combine baking soda and epsom salt. 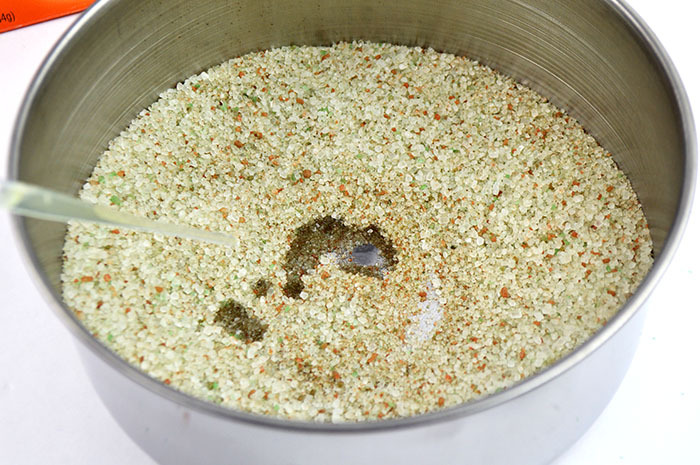 Stir until well blended. Add your food coloring. Stir well. You will notice that the color doesn’t fully incorporate into the bath salts. I actually loved this because it makes it really look like dirt! Add your Essential Oil. Stir well. Note: When using Young Living Essential Oil you only need a few drops (no more than 3) as it will be plenty! 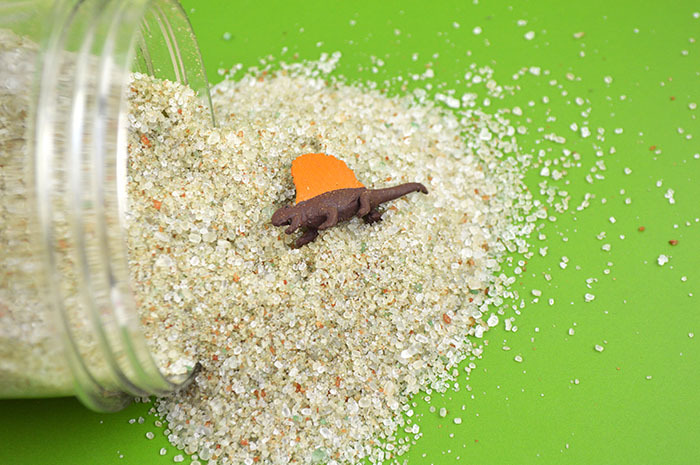 Add your mini dinosaurs to the mixture and stir. 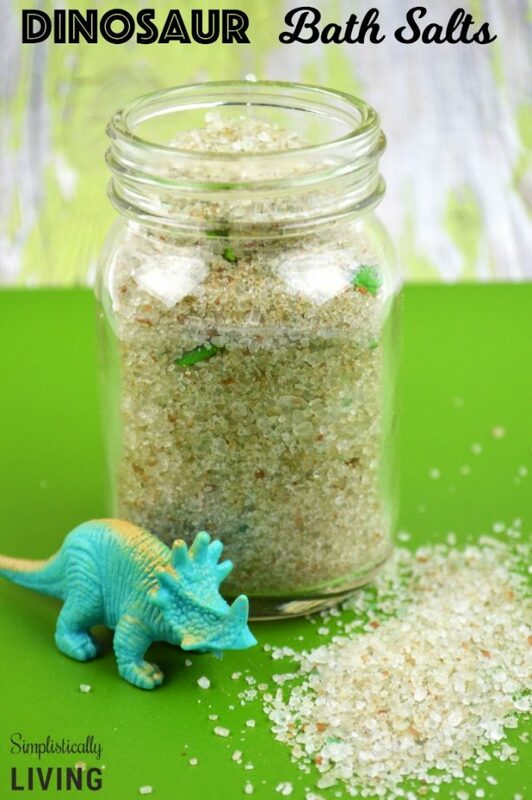 Put your bath salts into a container until your child is ready to take a bath. Pour bath salts into your bath and enjoy! Looking for more fun Dinosaur Ideas? Check out more below!